It’s the last week . . . Don’t Forget!!! We need some initial funds to start the grant and application process for our playground project. We are halfway through selling our S.U.T.P. books and would like to reach our goal of selling 300 books. The MTSPA needs to raise approximately $35,000 by December 2009 in order to meet goals for a September 2010 playground. 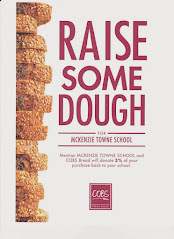 The SUTP books are sold for $20 with $10 staying with McKenzie Towne School Parent Association, helping reach this goal. This is a great time to get family and friends on board with our new school and playground endeavors. Additional forms are available by clicking here. Please ensure that you fill in your students name and grade so we can get the books back to you. Please note, payment is required for all orders before books can be issued. Cheques can be made out to M.T.S.P.A. or McKenzie Towne School Parent Association. Please have all orders returned to the school by Wednesday, October 14. Orders will be processed and back to you within 4-5 days.